In an effort to reach peace with UNITE HERE Local 54, on June 30th the Taj agreed to present a proposal that Local 54 President Bob McDevitt outlined and advised us should be supported by the union. It was a short-term bridge proposal designed to give the Taj a chance to succeed while enhancing union benefits that had been removed by prior ownership. Even though the Taj would lose a great deal of money, the Taj went ahead with the suggestion in the belief that it would bring labor peace. Against my advice, Carl Icahn agreed that the proposal would include a new union healthcare plan, as well as restore a number of work rules that had been removed by prior ownership during the bankruptcy. Lost in the discussion is the fact that all along the Taj has been providing its employees with a $2,000 per employee per year extra annual payment, in addition to the $2,000 per employee per year fee paid by the Taj under the Affordable Care Act. Most of the Taj Local 54 employees and their families qualify for substantial subsidies under the Affordable Care Act and many qualify for free health insurance under New Jersey’s CHIPS and Medicaid programs, and the $2,000 extra payment each year goes a long way toward paying for those subsidized premiums, deductibles and out of pocket costs for employees who want to purchase insurance. After agreeing to a deal at the Tropicana, which McDevitt was very interested in achieving, McDevitt blindsided us and the Taj employees by unilaterally rejecting the proposal at the Taj, even though it included an excellent healthcare plan,which he himself had outlined and told us would be acceptable. He did an about-face because it didn’t include the UniteHere healthcare plan which generates exorbitant profits for the Union – profits that McDevitt has become accustomed to. Unlike most healthcare plans negotiated by unions, UniteHere demands that Atlantic City casinos pay over $10,000 per employee per year to the union controlled healthcare fund which is well above the cost of healthcare. In fact, we have ascertained that these excess funds have allowed the UniteHere healthcare fund to generate over $250 million in net income for the union healthcare fund – without imparting any benefit for the union membership! The union never speaks of these huge numbers and we assume most union members aren’t aware of the excess funds being generated by their healthcare plans that jeopardize their very jobs. To better understand the gravity of the situation Tropicana previously asked to review the healthcare fund’s books and records and was denied access. Unfortunately, all in Atlantic City have suffered and been blindsided by McDevitt! Most unconscionable is McDevitt and the Taj Bargaining Committee never even informed their members of the content of the offer and the membership was denied the opportunity to vote on their jobs and their futures. By rejecting the Taj proposal, McDevitt decided to put thousands of employees, including employees of other unions that have successfully negotiated fair collective bargaining agreements with the Taj as well as non-union employees, out of work and shut the doors on a quarter-century of Atlantic City history. As a result, Atlantic City has suffered yet another mortal blow to its economy and struggles to survive. But given McDevitt’s history of contributing to the bankruptcies and closure of Atlantic City casinos as a result of not being able to afford the exorbitant healthcare plans demanded by McDevitt and the grossly underfunded National Retirement Pension Fund, is it really any surprise? It bears repeating that UniteHere is one of the very few unions that in their negotiations demand that their union run healthcare plan receive $10,000 per employee, which helps generate $250 million for the healthcare fund, and yet refuse to disclose their costs! We are not against unions but a union should operate based on its membership dues, which indeed they promise to do, and not from overcharging and making money from healthcare plans. McDevitt’s demands are all for the benefit of the union itself and not the employees. It’s a major reason four casinos have been forced to close. Reassuringly, based on the numerous letters we have received from Taj employees and the opinions expressed in local media, it is very clear we are not alone in our views regarding the impact of McDevitt’s demands and tactics. Despite McDevitt’s misleading propaganda and protests concerning Carl Icahn’s role at the Taj, prior to March of 2016 – less than 6 months ago –Icahn Enterprises did not own the Taj, did not manage the Taj and did not have any directors on the Board of the Taj. Icahn had nothing to do with Taj employees losing their healthcare. That occurred during the bankruptcy under prior ownership. In fact and in stark contrast, while the Taj was rapidly declining and was proceeding into bankruptcy, Icahn Enterprises led the resurgence of the Tropicana Atlantic City following prior management’s putting that casino into bankruptcy and approved over $150 million of capital spending at that property and millions more at other Tropicana properties never taking one dollar out of the company. Today the Tropicana is unquestionably an Atlantic City success story. Unfortunately and because of McDevitt’s demands and tactics, we will never know what could have been at the Taj. After the Taj went into bankruptcy and ran out of money, Icahn Enterprises, when called upon, did everything it could to save the property and jobs – just as it did at the Tropicana. Icahn Enterprises has invested and lost $86 million since early last year when it supported the property through a lengthy bankruptcy process that was unnecessarily prolonged by the union’s failed legal maneuvers. In addition, several years ago Icahn Enterprises loaned the Taj $449 million (of which only $190 million of principal was repaid). In just a few short years, Icahn Enterprises has lost almost $350 million in the Taj. Although Icahn Enterprises has controlled the Taj for less than 6 months and has lost almost $350 million, McDevitt’s propaganda campaign, which is full of lies, continues. The union would have you believe that Icahn Enterprises has somehow profited enormously from this property at the expense of the employees. They would have you believe that Carl Icahn put Taj workers into poverty. These misstatements demonstrate McDevitt’s utter disregard for truth and his desire to camouflage the fact that he and he alone is responsible for the Taj closure and the huge loss of jobs. It is interesting to note that when the doors are closed and the jobs are lost, McDevitt will continue to receive his six-figure salary and perhaps even a bonus. But having seen how McDevitt operates and seeing how the Taj workers were denied their basic right to vote on their jobs and their futures, is it surprising that McDevitt continues to peddle in these falsehoods? Despite its losses, Icahn Enterprises had been willing to keep investing in the Taj. Icahn Enterprises believed it could do at the Taj what was done at the Tropicana. When very few others were willing to invest even a dollar in Atlantic City, Icahn Enterprises risked over half a billion dollars. McDevitt loves to repeat the lie that Carl Icahn has closed four casinos in Atlantic City. But it’s just not true. Quite the opposite to McDevitt’s claim, Icahn Enterprises actually has an almost two-decade history of revitalizing and saving distressed casino properties all across the country, including all of the Tropicana properties that have seen enormous capital improvements and success under Icahn Enterprises’ stewardship – many of which may have closed if Icahn Enterprises hadn’t invested. But now with McDevitt’s strike causing incremental losses of $9 million, the Taj will be Icahn Enterprises’ first casino closure. 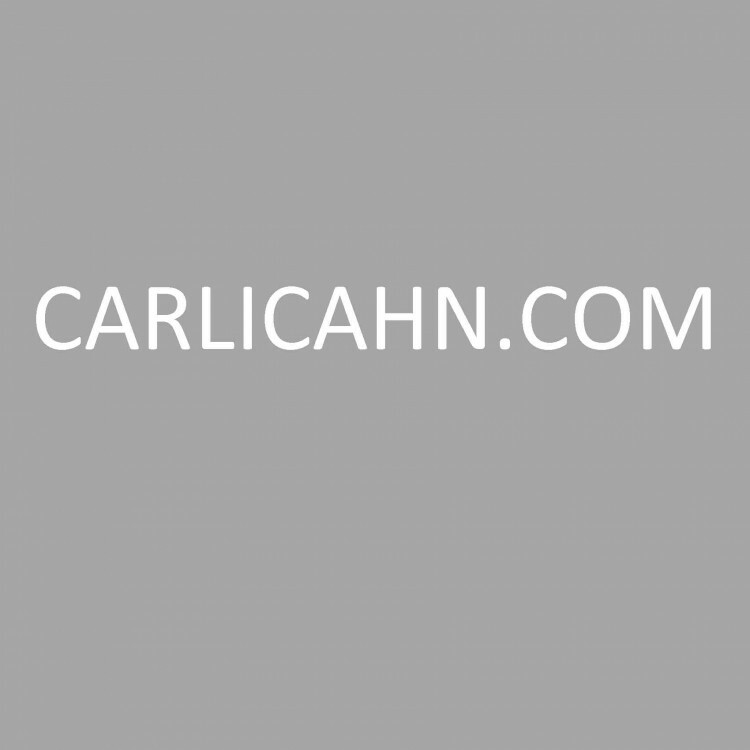 Icahn Enterprises positive impact has also been felt well beyond the casino industry. As a result of its investments, Icahn Enterprises employs 93,000 people today in many diversified industries and has made billions for public shareholders. The Taj is an iconic Atlantic City property with hundreds of loyal, hardworking and longstanding employees. It is truly a shame that Bob McDevitt and the Taj Local 54 Bargaining Committee are in a position to decide the fates of so many employees without allowing those employees a vote. It’s a sad day for Atlantic City – another casino closed and thousands more casino jobs lost basically as a result of McDevitt’s desire to demand more money, not for his employees, but to generate excess funds for his healthcare fund.